I read this article and found it very interesting, thought it might be something for you. 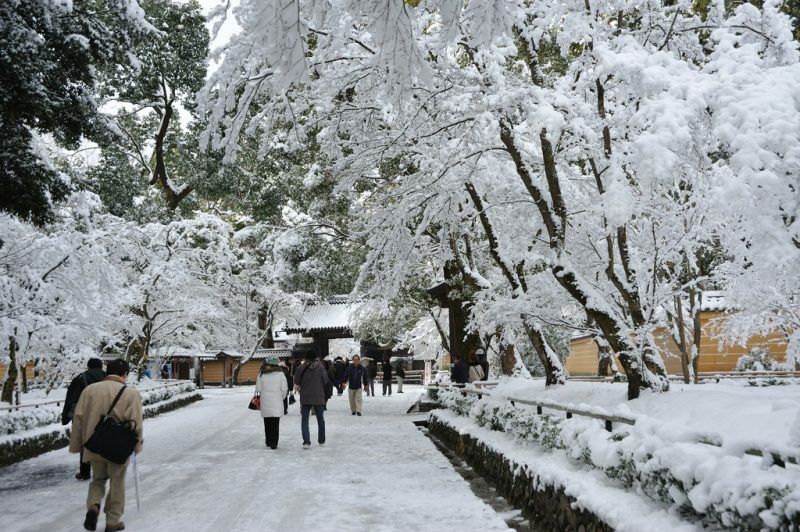 The article is called 4 Seasons in Kyoto: Spring – Winter and is located at http://trip-n-travel.com/listicle/11677/. 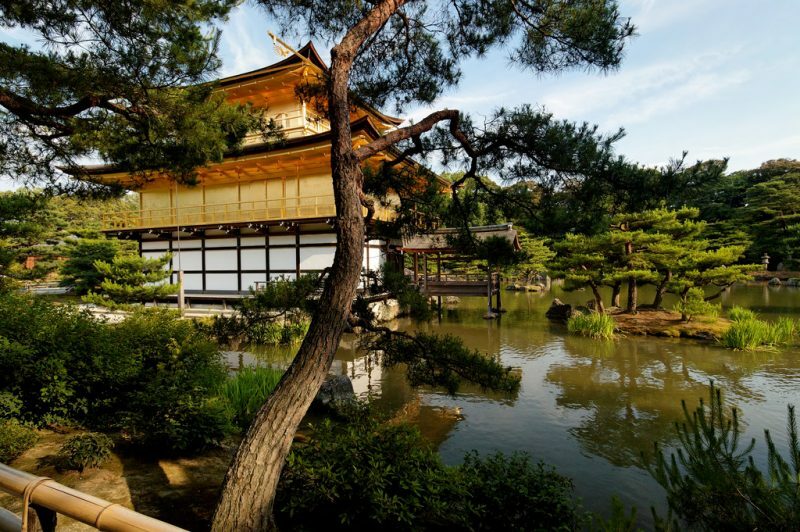 Kyoto was once the former capital of Japan and is often referred to as the “Old Japan”. 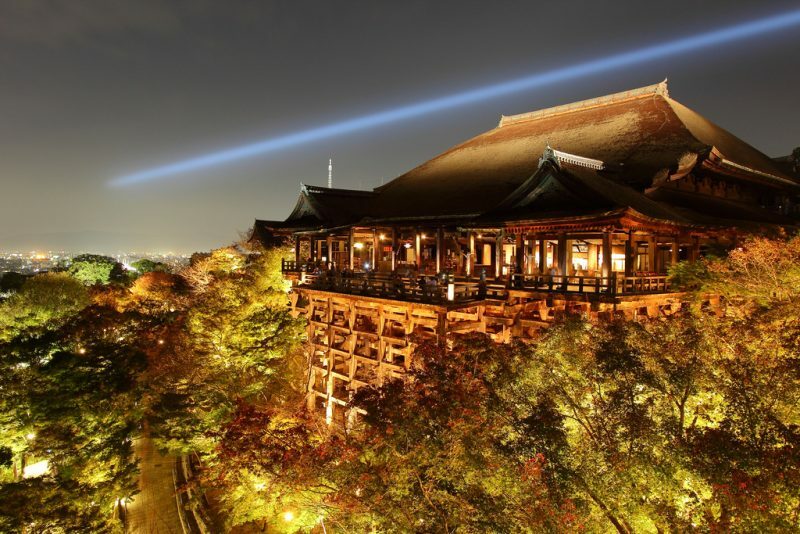 Because of its prestige, millions of tourists from around the world visit Kyoto on a seasonal basis. Be amazed and experience first hand, the sights, and sounds that can only be found at the “Thousand Year Capital”. The Hanami Season (Cherry Blossom Season) is observed during the middle of March. During this time, the Sakura Trees are in full bloom and people spend their time with their family and friends while admiring the flowers. 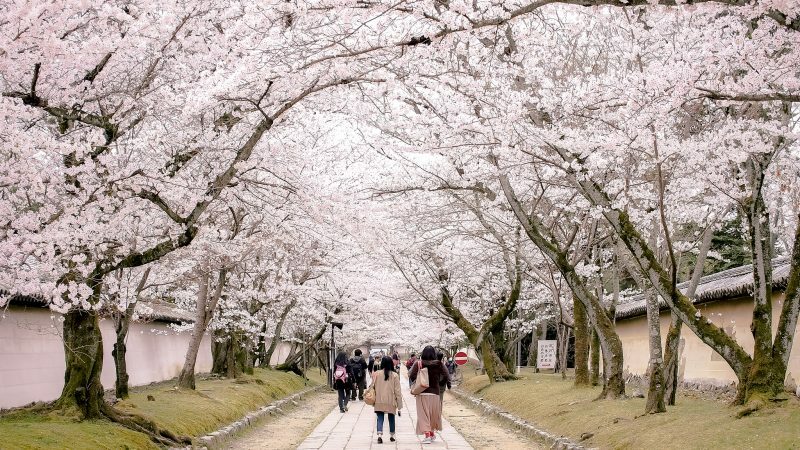 Hanami viewing is considered as a special event in Japan that only comes once a year and is often a time of reunions and parties between acquaintances. 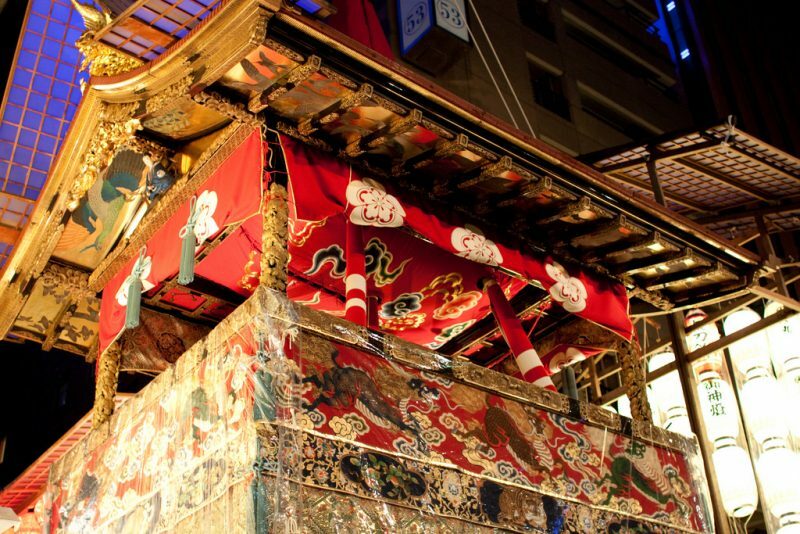 Aoi Matsuri is also known as one of the three main festivals in Kyoto. 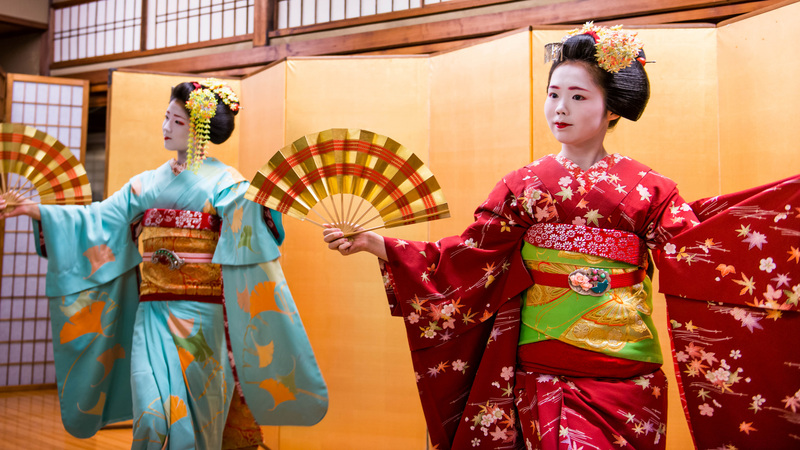 This event is celebrated during the 15th of May and this festival is joined by a parade of over 500 people wearing clothes from the Heian Era. This festival is done to appease the Gods in order to prevent natural disasters from befalling the capital. When summer comes, the weather becomes warm and sometimes quite hot. During this time especially at the end of June, the rainy season begins. While it doesn’t rain everyday, morning and afternoon showers are quite common. However, rain or shine the festivities in Kyoto doesn’t end. 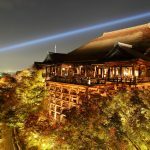 You’ll still find plenty of great things to see and do during summer in Kyoto! 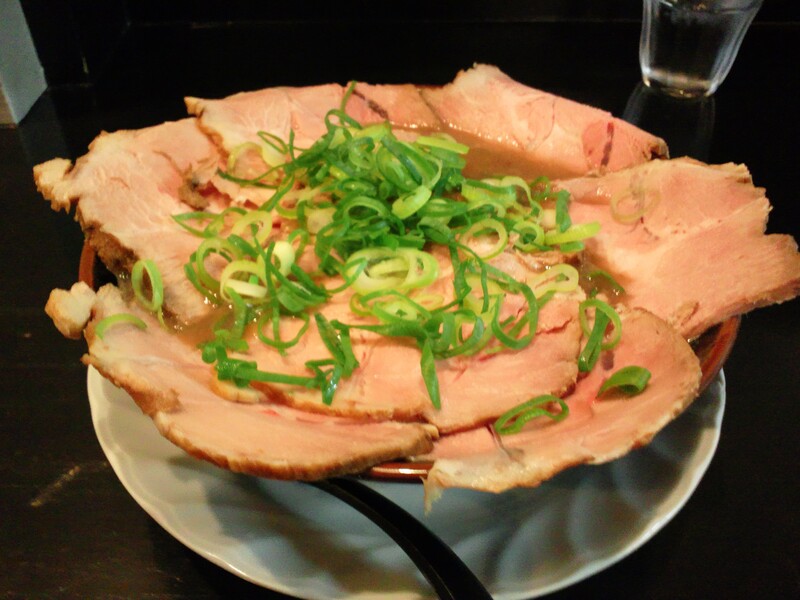 This is a very famous festival not only in Kyoto but in the whole country as well. This festival has been going strong for over 2 thousand years and is celebrated by parading giant floats all over the city. This city-wide event is visited by millions of people every year, so you can be assured that it’s going to be crowded anywhere you go. Kyoto is quite beautiful in Fall. As the plumage of the trees changes into vibrant colors of orange and red, people flock the city to visit the many temples and shrines that are scattered within the ancient capital. 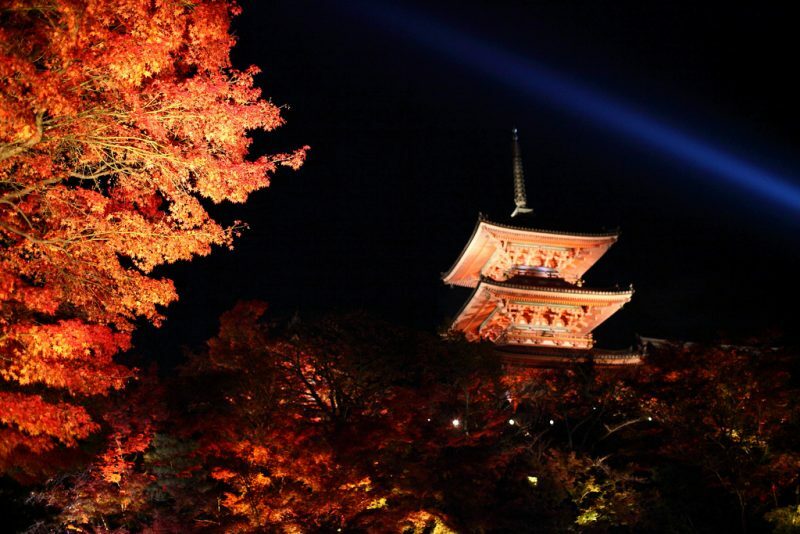 Just like spring, the coming of autumn is anticipated by many people especially those who love to travel Japan. 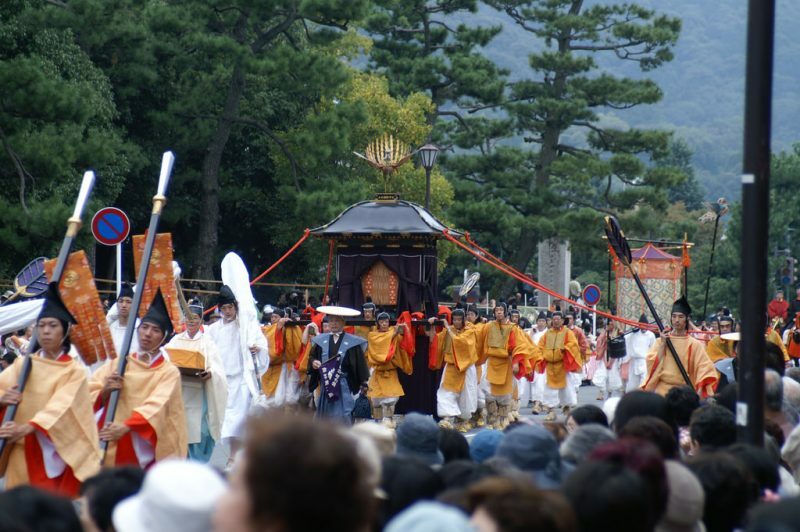 On the month of October, Kyoto celebrates the Jidai Matsuri. 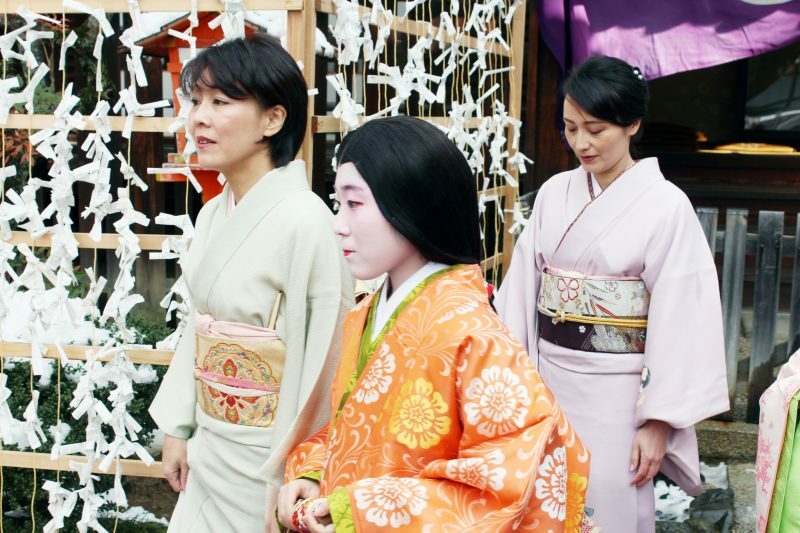 It is an event that is held to commemorate the foundation of Kyoto. True to its name, Jidai Matsuri which means the Festival of Ages is a parade where people wear dresses from the various time period of Japan. 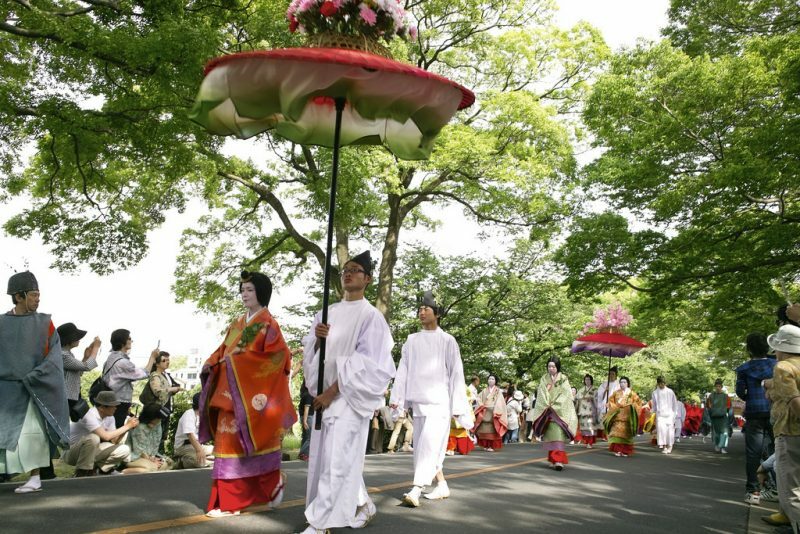 The parade starts from the Imperial palace and ends in Heian Shrine. When winter comes, the skies in Kyoto are quite clear. The temperature can be cold to very cold especially during the night. 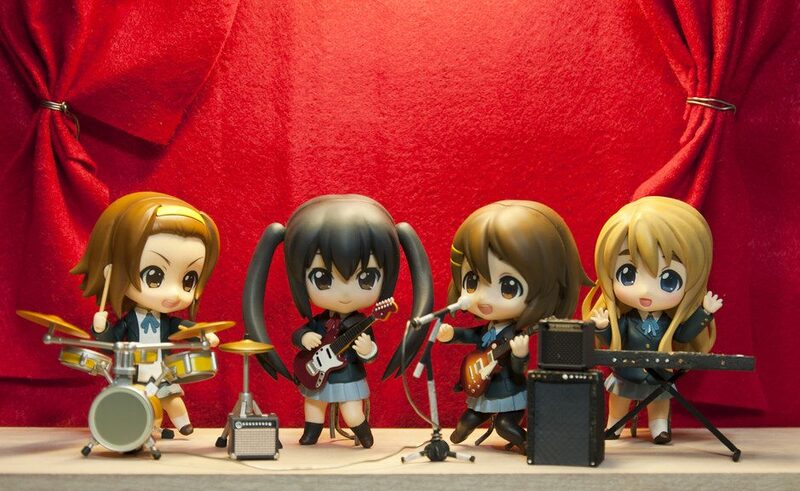 December is one of the festive months in Japan because of Christmas. This is also the time when couples tend to go out on dates and spend quality time with each other. Also known as the first Shrine/Temple visit of the New Year. 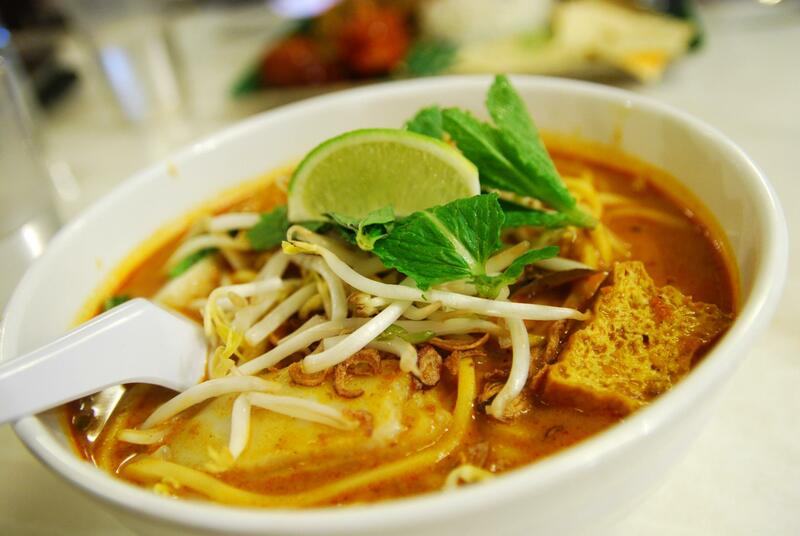 From January 1-3, most businesses are closed to give way to this year-end ritual. People visit the shrines/temples to pray and wish for good health, love, stronger family bonds, success, education, luck and wealth among many things.